Streamlight is a leading manufacturer of high-performance lighting equipment for law enforcement, firefighting, professional automotive, military, industrial, and outdoor applications. PowerFilm™ will provide customized solar panels to Streamlight for integration with its products. PowerFilm and Streamlight have collaborated to develop the SolarStream™ solar panel specially designed to provide additional power to the batteries in emergency vehicles. PowerFilm will manufacture the newly developed solar panel while Streamlight will market and distribute the panel through their existing distribution and sales channels in the emergency response marketplace. 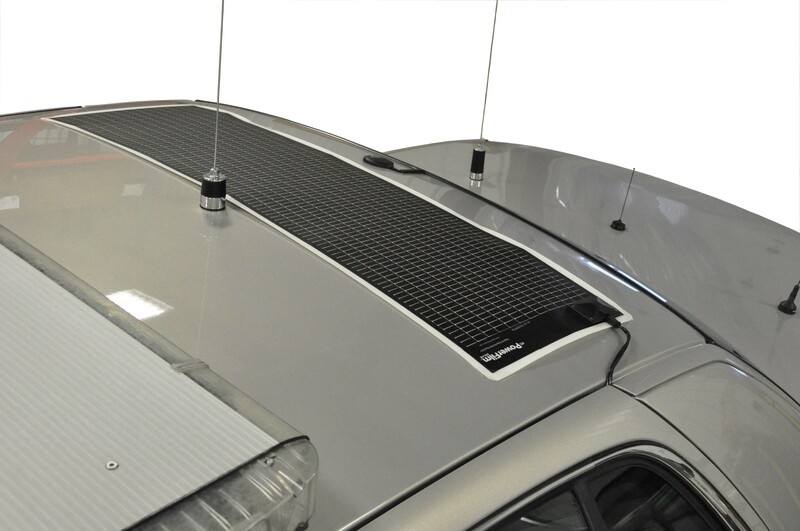 The simple to install, 14-watt solar panel utilizes an optimized adhesive to mount to the vehicle and is wired directly into the electrical system to provide a constant trickle charge to the battery. Emergency vehicles, like police cars, are running an ever-increasing number of electronic devices, providing power to computers, radar, charging flashlights, etc. - placing a heavy burden on the vehicles existing electrical system. The new SolarStream solar panel provides enough supplemental power to the battery to ensure that the vehicle will start when needed and reducing the need to idle the vehicle – saving fuel and reducing emissions. PowerFilm, Inc. was founded in 1988 and is a world-leading developer and manufacturer of thin, flexible solar modules using a proprietary low-cost production process. The company’s primary objectives are to partner with select organizations to service portable and remote solar power applications and the building integrated solar power market. For more information, visit http://www.powerfilmsolar.com. Headquartered in Eagleville, PA, Streamlight, Inc. is a leading manufacturer of high-performance lighting equipment for professional automotive, firefighting, law enforcement, military, industrial and outdoor applications. Streamlight is an ISO 9001:2008 certified company. For more information, visit http://www.streamlight.com.